Justina Mutale, African Woman of the Year and Founder/CEO of POSITIVE RUNWAY: The Global Catwalk to Stop the Spread of HIV/AIDS has been appointed All Africa Coordinator for the ALL Ladies League & Women Economic Forum, as well as Chapter Chairperson for Zambia. Also known under the acronym ‘ALL’, the All Ladies League is the world’s only and first of its kind all ladies chamber. The ALL Women Economic Forum, is an annual global summit designed as a scintillating forum for stirring thought leadership among women and also fostering friendship across faiths, borders and cultures. 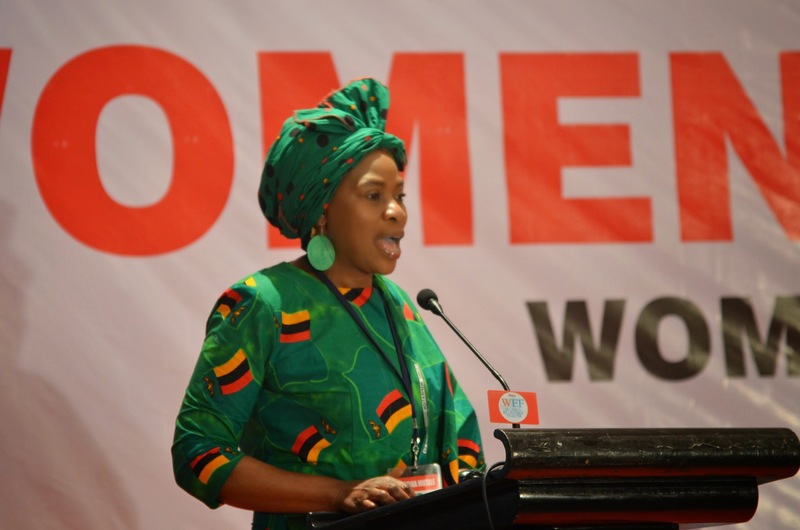 Ms Mutale, who is also Gender Equality Ambassador & Spokesperson of the International Women’s Think Tank was a Plenary Speaker at the just concluded 2015 Women Economic Forum, which saw over 400 delegates from over 30 different countries fro around the world congregate in Goa, India last month. The Forum featured an extensive and enriching range of Speakers to reﬂect the League’s deep respect for global diversity and a variety of inﬂuences. It also provided the rare and unique experience to not just hear Business leaders, Corporate Coaches, Entrepreneurs, Authors, Icons, Political Stalwarts, Policymakers, Ambassadors, Media personalities, but also an opportunity to network and engage with one another. 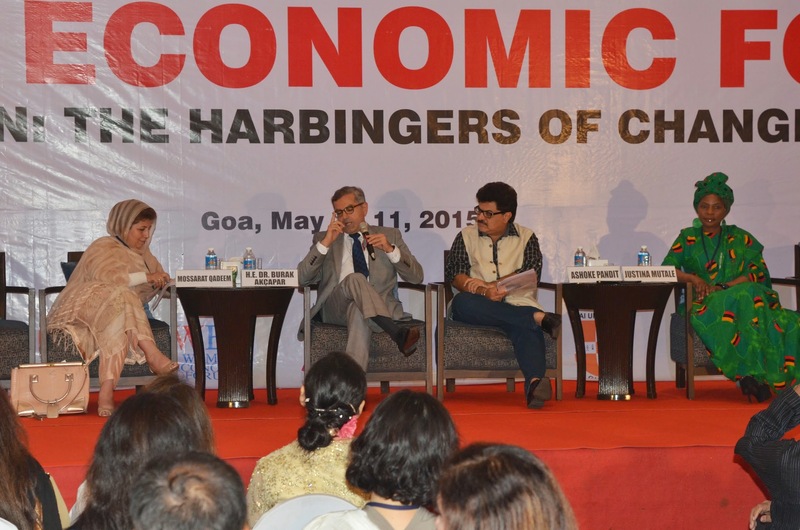 “The Women Economic Forum is a sacred space for ALL to create a truly vibrant atmospheres of discussion, debate and millennial thoughts toward co-creating a world that each one of us deeply wants, where love is an integral part of every aspect of Life; and where our policies, choices and decisions as countries and creeds are driven by an ardent wish to mitigate more the boundaries that divide us and build stronger the bridges that unite us.” Says Dr Harbeeen Arora, Global Chairperson of the All Ladies League and Women Economic Forum. The All Ladies League has an all-inclusive way of working, which is a decentralized distributed leadership model wherein every Chapter and its members are fully empowered to create and deliver on any agenda of interest. The League endeavours to uphold the feminine values of care, concern, courage, commitment and collaboration, and have zero tolerance policy for negativity of any kind. Through its signature annual global summit, the ALL Women Economic Forum, the League’s overarching goal is to exponentially enhance women’s leadership and women’s friendship locally and globally so that women become proactive agents of change in all spheres of self and society, including bringing in the much needed understanding among cultures and peace across borders, apart from becoming self-reliant and self-assured in their own personal expressions.